Between September 2014 and February 2015, Chinese manufacturer Lenovo has been preloading the Superfish adware on its laptops. This is a short history of the Lenovo-Superfish scandal. A few weeks ago, news broke out that Chinese manufacturer Lenovo has been preloading the Superfish adware on its laptops starting with September 2014. Initially, Lenovo stood by its partnership with Superfish, and refused to acknowledge that the adware poses any kind of security risk, and this despite the fact that the US government issued a public statement warning Lenovo users that their online activities could be intercepted by third parties. If you want to learn more about how Superfish works and what makes it so dangerous, check out the detailed post here. 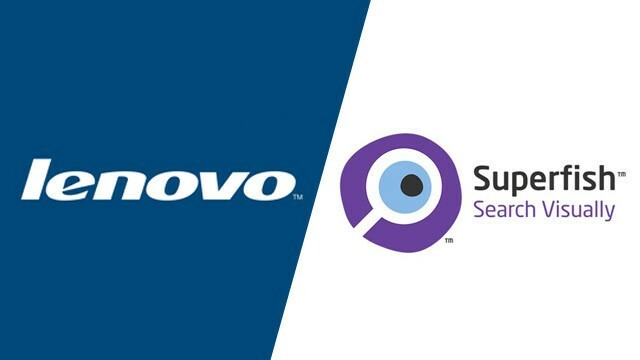 Once security experts from around the globe rallied behind the notion that Superfish exposes Lenovo users to man-in-the-middle attacks, the Chinese company issued multiple apologetic statements, announced that it has stopped preloading Superfish on new laptops, and then even moved on to launch a removal tool and post a Superfish removal guide. In what seems to be an ironic twist of fate, Lenovo's own website was hacked last week. Microsoft was very quick to respond to the Superfish scandal. The Redmond based giant updated the Microsoft Security Essentials software, making it capable of removing Superfish from infected computers. Mozilla recently announced that it will soon launch a hotfix of its own for removing the damage Superfish does to the Firefox settings. Building up on all of this, Lenovo is now being sued in the US for preloading Superfish on its laptops. In regards to what Lenovo was hoping to gain from preloading the dangerous adware on its laptops, Forbes recently revealed that the Chinese manufacturer signed a $250.000 deal with Superfish. Given how much bad press Lenovo got over the past few weeks, it's safe to say that this deal wasn't very profitable for the Chinese company. Looking to the future, Lenovo promises that its upcoming Windows 10 notebooks will eliminate what the industry calls “adware” and “bloatware”. We recently checked out the Lenovo Yoga 3 14 and the Carbon X1, and we didn't find any malware on these two Ultrabooks.